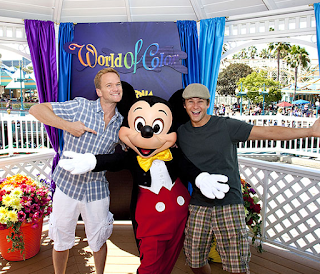 In preparation for the arrival of their twins, Neil Patrick Harris and David Burtka scoped out the scene at Disneyland. The couple, who are recently announced they are expecting a son and a daughter in the fall, looked absolutely joyful clowning around with Mickey Mouse in the park. Congratulations lovebirds!